Willow Creek Community Church holds to a core belief that people matter to God. They matter to us, too. With an understanding that Jesus Christ came to earth to seek and to save that which was lost (Luke 19:10), But Jesus went beyond a mere rescue mission; he transformed lives. Jesus came to redeem this broken world, and it is on this core belief that Willow has built its mission statement: to turn irreligious people into fully devoted followers of Christ. Willow is committed to carrying on Christ's mission by reaching out to those who are far from God, coaching those who follow Christ by equipping them for their spiritual journey, and unleashing unprecedented levels of compassion and justice into our broken world. Weekend messages are a key component in reach out to others and encouraging and inspiring them along their spiritual journey. 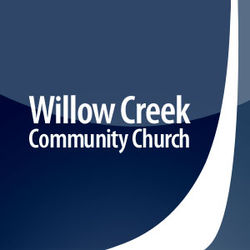 Listen and subscribe now to the best Christian podcasts today from podcasters just like Willow Creek Community Church. These popular Christian podcasts are available to listen to and download for free on Faithplay. Faithplay is filled with more episodes from Willow Creek Community Church and other top Christian podcasts. Download Faithplay today and start listening!